I really should grow more of what we like to eat. What do we eat all the time? Why don't I grow more of them then? b) I'm not really making the best use of the resources I have - cold frames, cloches, windowsill growing kit, sprouting kit - what a waste! c) I'm not making the best use of the techniques I know about either - forcing/blanching, microgreens, cut and come again, sprouting - why's that? I wonder if I can grow salad leaves year round? @Malvernmeet we eat salad at least 4x a week. 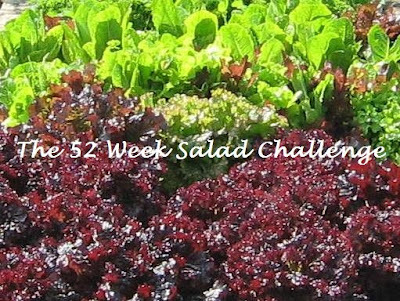 I'm contemplating a 52 week salad growing challenge for the blog next year. Is it a goer? An excited flurry of tweets ensued, which confirmed it is indeed a goer. So consider this my formal announcement, throwing down the gauntlet, girding up my loins for the travails ahead etc etc. Forget the Olympics, we gardeners need a challenge requiring much more stamina and staying power. 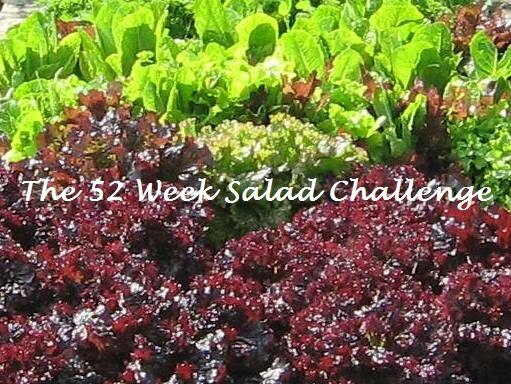 Will you join me in the New Year for The 52 Week Salad Challenge? I'll outline the details in my first post on the first Friday of the month i.e. January 6th. Do we need to eat salad every day, or have enough to eat a couple of times a week, over 52 weeks? I'd like to join in too. I have a shiny new polytunnel and a copy of Salad Leaves for All Seasons by Charles Dowding so I'm ready to go! Ah I was just going to recommend "salad leaves for all seasons" and I see somebody else got there first :) I don't fancy my chances but I might join in a bit - can I modify it, so that I have to have something that is possible to eat every month? will observe hopefully and collect ideas. My red sorrel has become the sole non-survivor of my salad garden. Nasturtiums and garlic chives are good for most of the year. You battle winter, mine just shrizzles away when the summer sun fires his death rays. I agree about the summer holiday - it throws my timing all out too! Have you ever tried any of the oriental winter salads? Mibuna, serifon and green in snow are really tasty and very hardy. What a great idea! I wish I could participate, but I right in the middle of renovating my veggie beds. Still I bet I learn alot! Hi! I caught your challenge over on OrkneyFlowers latest post, so here I am! I'd love to do something like this, I moved house in August 2010, and am just about able to start paying proper attention to actually, you know, *growing* stuff. count me in! Love salads too. I've already got started too. Had a few leaves of wild rocket (grown in pot by back door) to jazz up the lettuce last night and I started some beetroot, rocket, spinach and parsley seedlings in a heated propagator in late Nov/early Dec - now quite happy in unheated cloche outside...planted turnips in sept (bit slow off the mark)you know what, i should blog this myself.... Will get something up soon! Lisa - I'm aiming not to be too prescriptive, especially as people have completely different resources, experience, preferences etc etc. The idea is for you to set the challenge for yourself over the 52 weeks - it would be great if you joined in! Anna - I've set this up partly because I'm not expecting to last the course going by my track record. I'm hoping we'll help each other out in times of difficulty. If you grow something different or manage to extend your growing period, then I'll judge this challenge to be a success. EG - no there won't be a minimum number of leaves per week. Hopefully by posting weekly it'll remind us all about sowing stuff and get us over that summer holiday hump! This would be a great addition to the many gardens we install... you got me thinking! Nope. Couldn't do it. If I liked raw chard I could be eating some of its leaves now but after that . . . nice idea . . . wish I liked salad more than I do. Wouldn't it be brilliant if one could grow STRAWBERRIES all year round. That would be the thing . . . Could do with a bit of magic. looking forward to this - it'll be a good one! I love this idea. Here in the Northwest we can grow many salad greens year round without protection. Planting these winter hardy greens has allowed my family to refrain from purchasing lettuce or greens since last June. I have been thoroughly impressed with how productive non lettuce salad greens can be. I saw some fab salad mixes on sale at a farmers' market in Seattle last summer. I'm in coz I'm already doing it. Last Autumn I decided to grow veg all year round and so far it has been a succes (it's been a rather mild winter so far). I love salads so I eat a lot of those per week and my chooks are very keen on them too so there's a lot of leaf munching going on at Bliss. I wish I'd started last Autumn. Still, by starting at the most difficult time of the year, things will get easier! Fantastic idea. Like you my successional sowing isn't always as well planned as I'd like. I've managed to harvest rocket or CCA most weeks for the past six months but keeping it up every week is going to be a challenge. Does a winter slaw count as a salad?! How did I miss this post?? From the Seattle area and I'm definitely in! Hurray - the more the merrier! Hello - we will be taking up your challenge here in the Chicago, Illinois area of the US. Although we have a bit of a delayed start, I am already dreaming of salads. Hubby gave me my first grow light for Christmas so I am half way there. 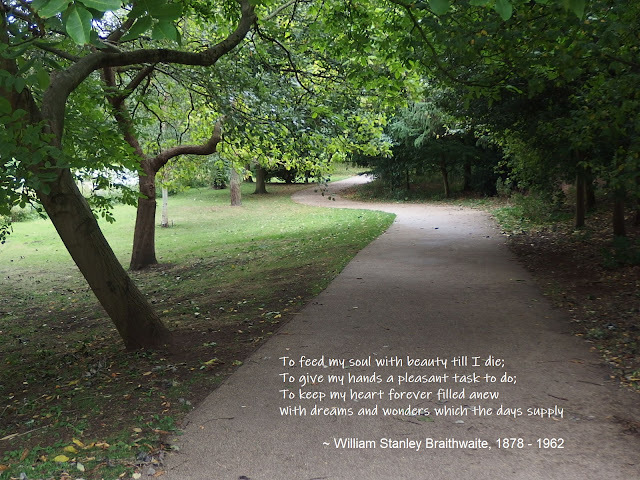 Another thing I've been researching recently is the idea of foraging. We are in the suburbs but even in the urban areas there are many native herbs and greens that grow in the forest preserves (where chemical spraying is not allowed) and even along alleys and public walkways. I can't wait for spring! 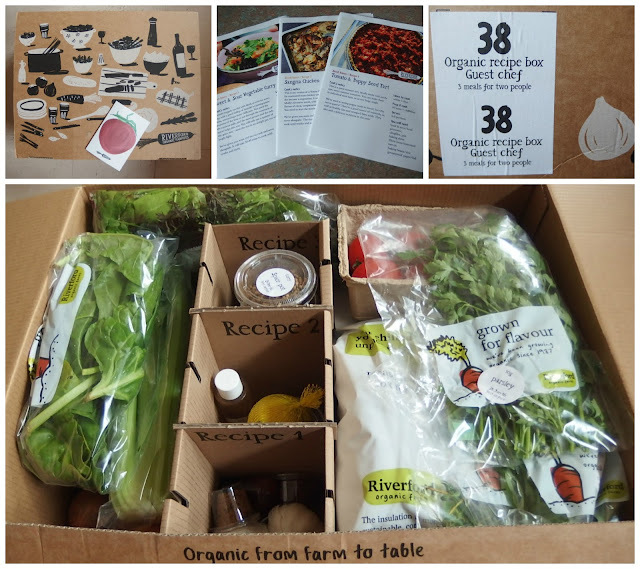 I am looking forward to the creativity that will no doubt come as we experiment with different greens, fruit/nut/seed additions and even the use of various vingears and oils in dressings. Hi JulieAnn and welcome! Good to have someone else joining in from over the pond. 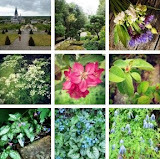 There's a link on the Challenge's Page to a blogger in Idaho who's put together a comprehensive list of USA based resources as well as showing winter salad and leaf is possible in zone 5B. Only just discovered this brilliant idea. Yes - I'm in!